The chainmail size is 195x195mm. A 60x60mm sample is available to test and find the right settings before printing the big chainmail. Print the model with a 0.4mm nozzle and 0% infill. The source file is available. 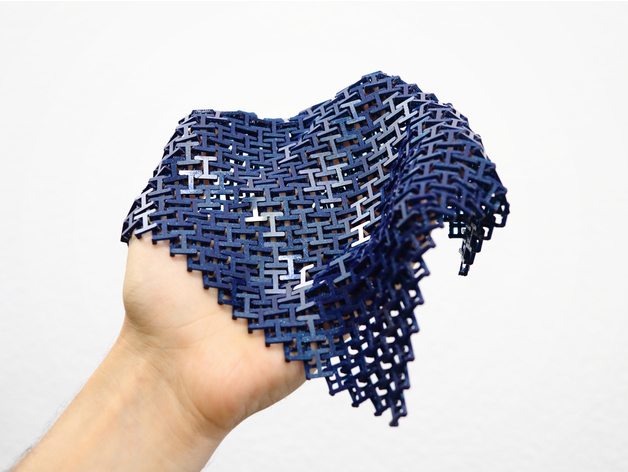 Open it with Autodesk Fusion 360 and create your own custom chainmail! I’d like to thank all my supporters and patrons, with your help I’ve been able to create this project. The Patreon MVPs for this project are David Kessler, Damien, Keyboardbelle, 3D Maker Noob, 3D Printing Stuff, Filaments.directory, Remco Katz and Sabino!